Having recently taken a trip to Auckland which was heavily incentivised by it’s incredible foodie scene, I thought I’d share with you a collection of the yummiest places I found to eat everything from breakfast bowls, raw salads, smoothies and dairy free ice cream to cakes, Filipino steamed buns and pizza by the slice. In the lead up to my trip, I got my researching cap on and ploughed my way through endless blog reviews, web articles and even instagram to find the absolute best of the best in and around Auckland. Once there, I ate out three times a day, almost every day- so hopefully I can impart some knowledge! Without further ado, here are the eateries that gained my vote. 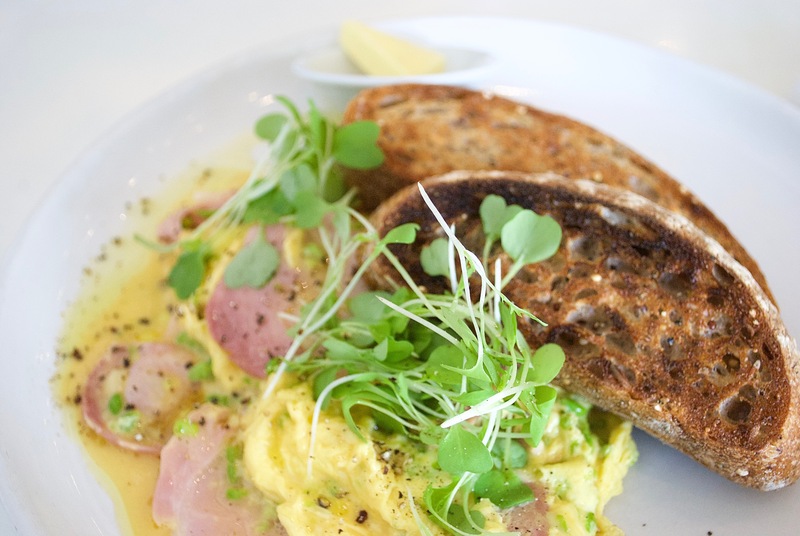 When I say that my trip was heavily incentivised by Auckland’s food scene, it was the city’s breakfast and brunch offerings that initially stole my stomach. 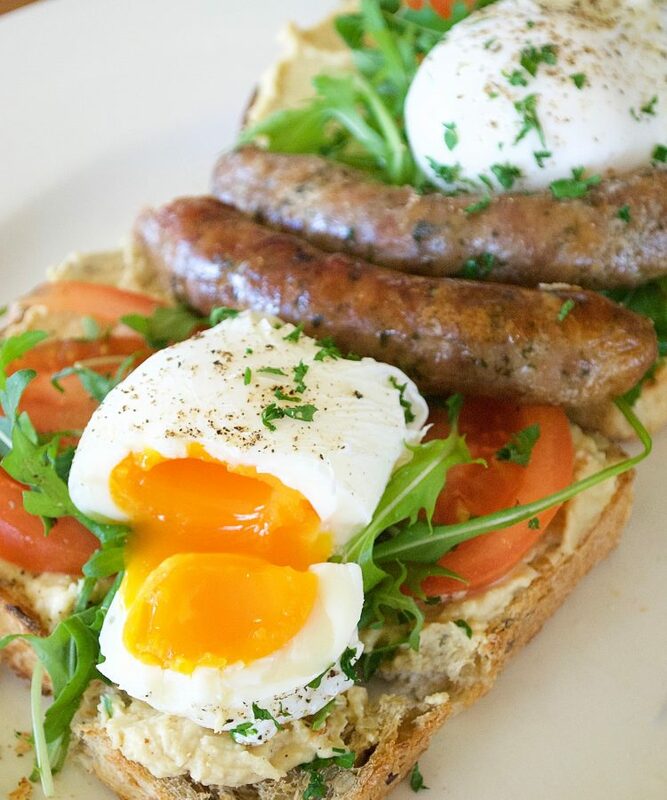 The first place I went for breakfast was Rosie’s, a bustling neighborhood cafe in the heart of Parnell. Andrew and I shared 3 plates, but our favourite was the baby carrots, halloumi, serrano, truffle and honeycomb (!!! )– it’s not to be missed! Back in the CBD, Odette’s Eatery is one of the most sophisticated spots on the block, with its moody blue interiors and gorgeous textiles providing a hub for the city’s suits and girly brunch dates. Again, we ordered three dishes to share- the tongan vanilla crepe with lemon custard, seeds, nuts and raspberry was of particular delicious note. Out towards the west of the city lies Catroux, a chic and minimalist cafe in the neighborhood of Westmere. The pumpkin pie pancake with coffee creme diplomat, roasted banana, walnut crumble and maple was a breakfast dream come true. See my in depth review of Catroux here! Last but not least, I’ve got to mention Caper’s Epicurean. Located a couple of hours away in Rotorua, it’s not strictly an Auckland eatery- but I just had to mention it! 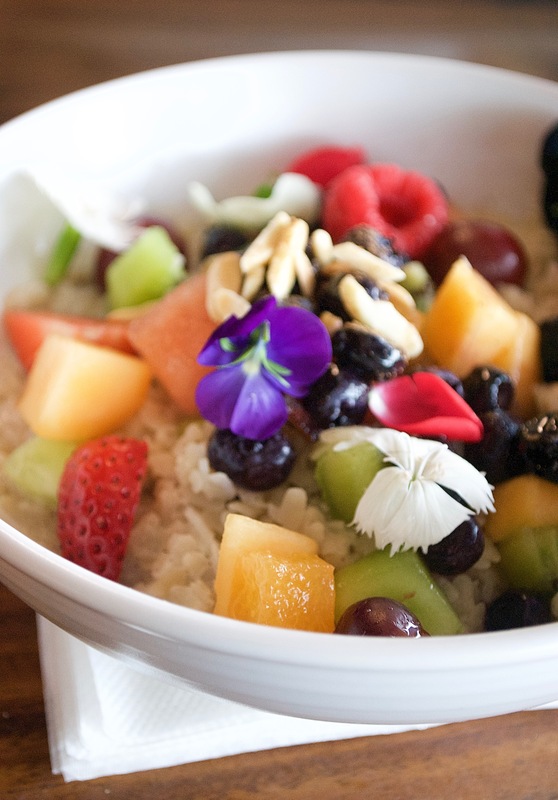 Considering it’s rural location, the menu was such a pleasant surprise with some really interesting and delicious combos- my vegan, gluten AND dairy free almond and vanilla bean oatmeal with almond milk, heilala vanilla bean paste, ground almonds, brown rice flakes, fruit compote and organic maple syrup was one to remember. 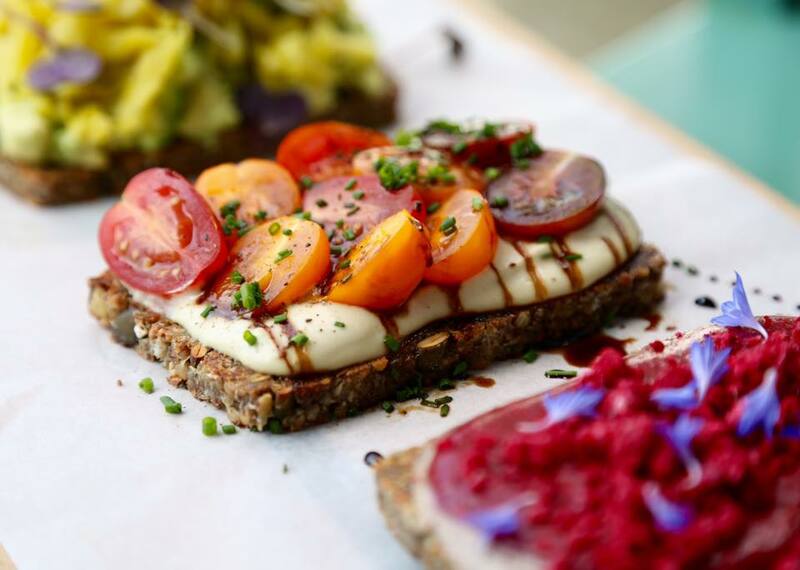 Other breakfast recommendations: Major Sprout for a CBD eatery with a delicious contemporary menu, Bolaven for brunch with an Asian twist, and Hello Friends & Allies for granola, poached eggs, breakfast boards and everything in between. Il Buco, right in the middle of Ponsonby, is a must visit for any pizza aficionado. Whether you’re following the vegan, gluten free, dairy free or to-hell-with-it-im-treating-myself diet, their decadent rectangular slabs of pizza offer something for everyone. I opted for a slice of the vegan potato, rosemary and red pepper pizza which had a beautifully crunchy base and perfectly seasoned toppings. A little Italian bird told me that the pumpkin, spinach, caramelized onion and blue cheese pizza is also a surefire winner. I sampled a helluva lot of smoothies during my trip to Auckland, but my favourite by far was the one I got from Cere’s Fresh Market in Ponsonby Central- a delicious blend of raw cacao, coconut and plant based chocolate protein powder– yum! If you’re in the mood for a sugary treat, then Foxtrot Parlour, also in Ponsonby Central, is a must visit. Their doughnuts come with syringes that allow you to inject the filling yourself, but Andrew and I were all about the orange polenta cake and coconut brioche bread. Heavenly. 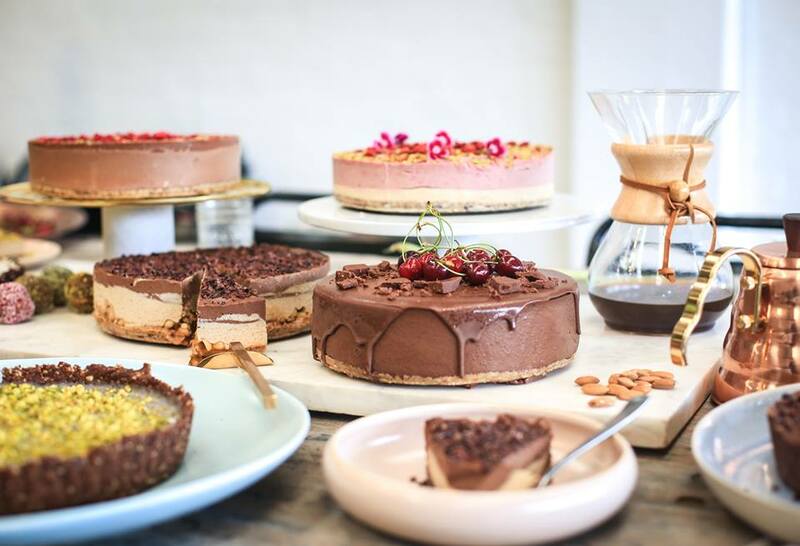 The Raw Kitchen is another beautifully simple and fresh looking eatery boasting some incredible raw cheesecakes, dark chocolate peanut butter cups and superfood smoothies. Lastly- Giapo. This is consistently voted one of Auckland’s best ice cream parlours so we just had to check it out. When you walk into the parlour, you’ll be surprised to see that all of the ice creams are covered by a dark screen, with only a blackboard of the days flavours available for viewing. This means you have to choose your flavour based on description alone with no visual aid- what a great concept! The vegan flavours are made with coconut oil in place of milk- I tried the vegan mandarin sorbet and dairy free salted caramel ice cream which were both all kinds of delicious! The first place I visited for lunch in Auckland was Little Bird Organics. These guys have ‘unbakeries’ all across the city, but the one we viisted was in Ponsonby. They specialise in raw, vegan, organic food. Don’t miss their ‘special editions’ menu, full of superfood drinks like reishi latte, chai or tumeric milk. Lunch offerings include raw tacos, kelp noodles, kimchi burgers and wraps just bursting with an abundane of colourful vegetable goodness. There’s also kombucha on tap! Another place I just have to mention, which again is not strictly in Auckland itself, is Te Motu on Waiheke Island. The shed restaurant is an adjoining building to the tasting room of the similarly named Te Motu vineyard. 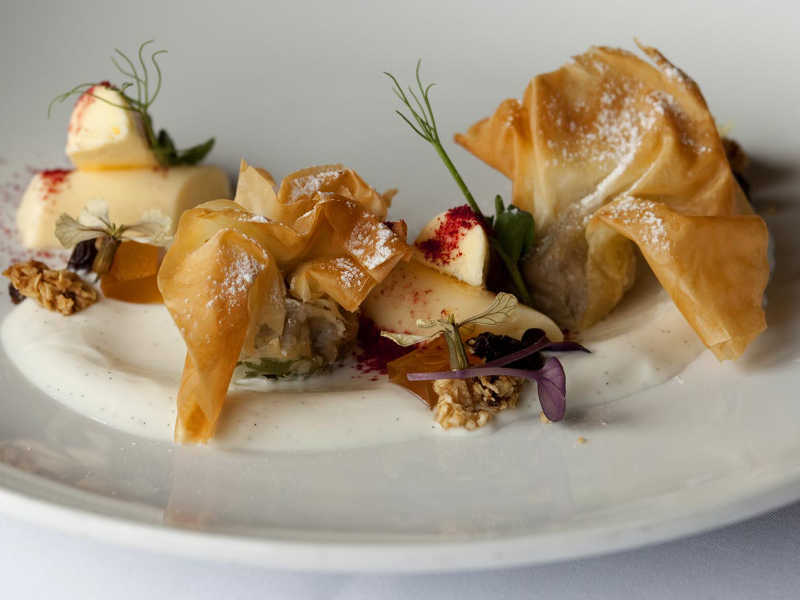 The menu is exquisite, and encompasses a selection of small and large plates. Our Wairarapa octopus, free range pork cheek, black eyed peas, mojo verde and smoked chilli small plate was divine. Wine tastings are available alongside your meal, making this a pretty special (and boozy!) lunchtime treat. 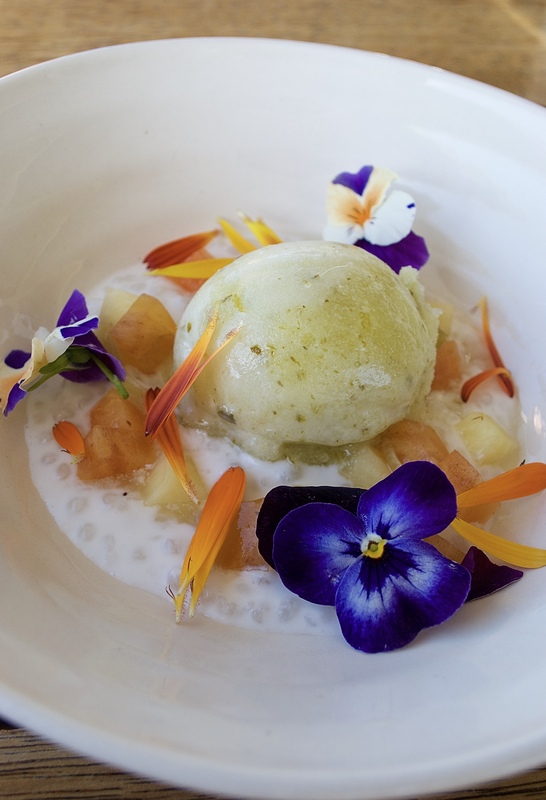 Other notable mentions include The Tasting Shed for beautiful food in a beautiful setting, XuXu for fusion dumplings and Saan, because who doesn’t love delicious Northern Thai cuisine at great prices? Oh gosh, where to start? 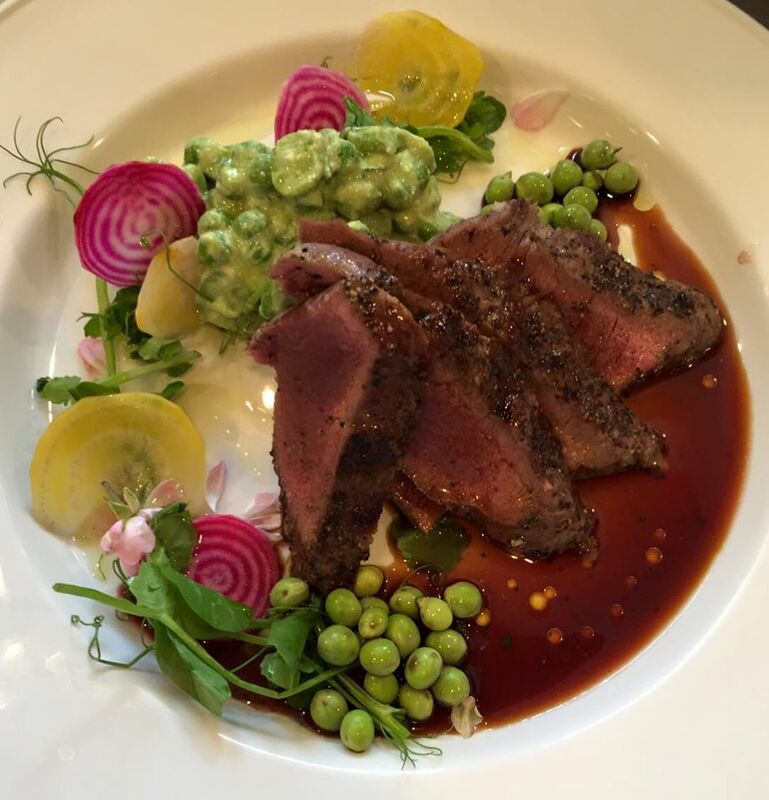 There’s Prego, a cosy Italian eatery right in the middle of Ponsonby high street with delicious and slightly quirky twists on our favourite Italian classics and quite possibly the most hilarious, attentive and friendly service I have ever received. 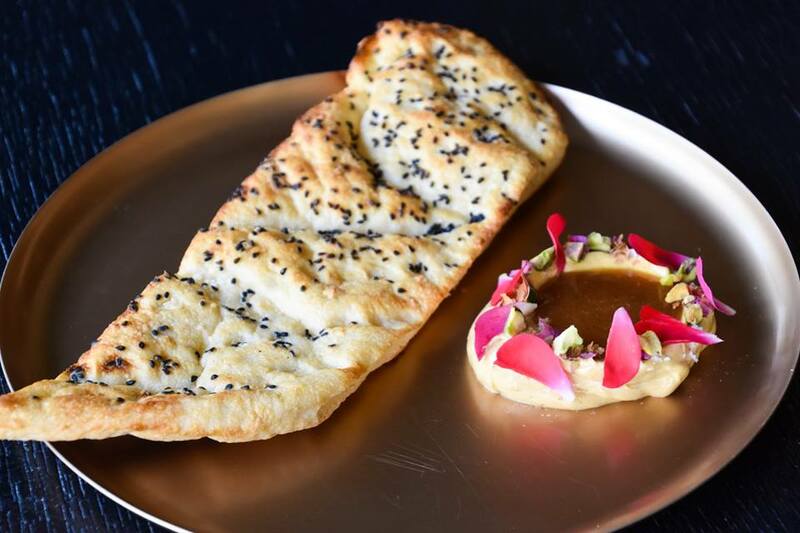 There’s Beirut, a contemporary middle eastern restaurant in the city centre offering exquisite flavour combinations, wonderfully warm and helpful staff and mood lighting central. Whatever you do, do not leave without trying the Afghan bread with burnt butter, pistachio and rose petal jam (without a doubt one of my top dishes from the whole trip!). If you’re after something more budget friendly, then I can’t recommend Nanam enough. It’s an awesome, quirky little space in the neighborhood of Royal Oak offering mouthwatering Filipino cuisine. The sticky pulled pork “Nanam” buns with pork chicharron, homemade pickles and peanuts are absolutely divine and perfect as a shared starter. The whole menu is great value for money, too! Last but most certainly not least is Mudbrick. 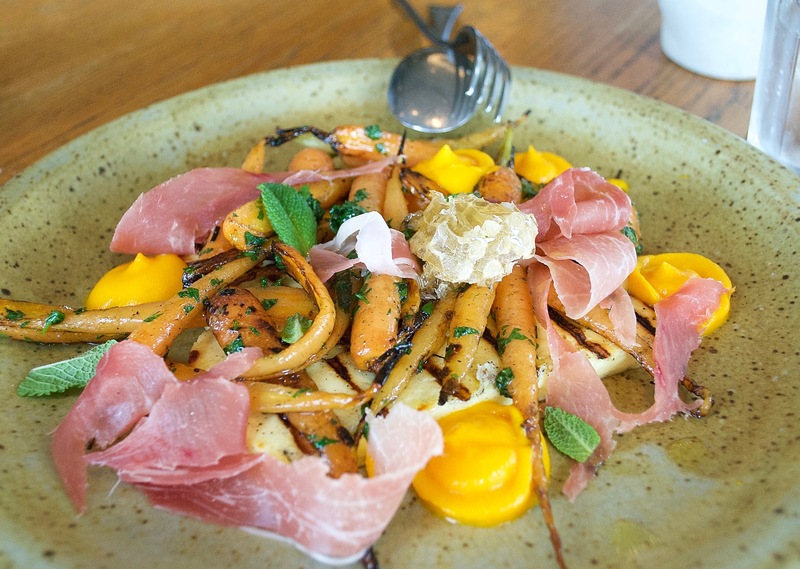 Mudbrick is a Waiheke Island winery with a restaurant and bistro on site. The restaurant boasts an absolutely stunning setting- the beautiful, peaceful garden, sparkling fairy lights and roaring fireplace are merely complements to the mind bogglingly out there flavour combinations. The food is presented beautifully and the service is top notch. This is definitely a special occasion restaurant as the prices are on the higher end of the spectrum, but the experience is sure to be one to remember. 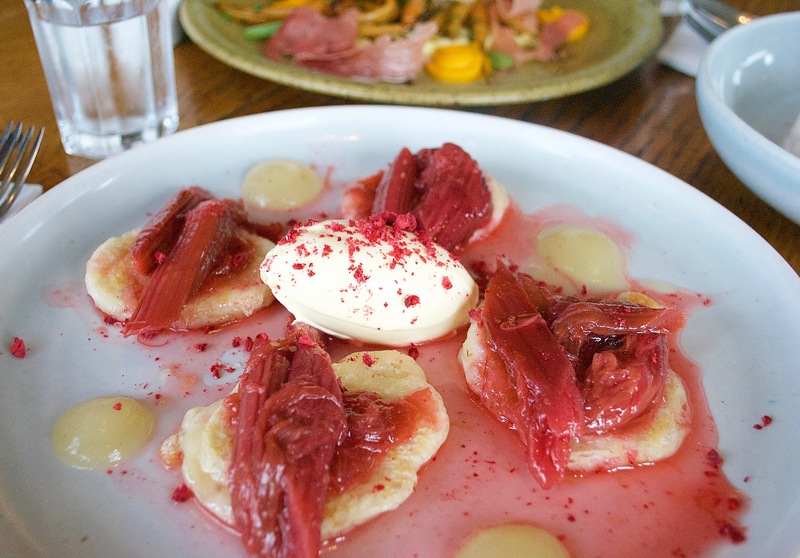 And so concludes the round-up of my top picks for the ultimate foodie experience in Auckland! I hope you enjoyed this post. If you visit any of these spots then I’d love if you tweeted me on Twitter or tagged me in a picture on Instagram- my username for both is @fuellingthefork. It would be amazing to see and hear about your Auckland experience. I miss the food already! !